High school civics textbooks teach kids that there are three branches of government: The executive, the legislative, and the judiciary. Now it turns out there is a fourth: Jim DeMint. On Tuesday, word got out that the Republican senator from South Carolina intends to block all Senate business until after the November elections. How can DeMint do this? The short, simple version is that each individual senator has the ability to slow down debates to the point where the Senate basically ceases to function. In the past, senators usually hesitated from using that power or were stopped by party leaders when they tried. Lately, though, something has changed. Republicans have exploited this power to block President Obama at every turn--to thwart his legislative initiatives, to keep him from staffing the government, and now to prevent his party from conducting mundane, everyday business. Obstructionism has become the norm. And it’s doing serious damage to the country’s well-being. The chamber conducts most of its business via what’s known as unanimous consent. Under this procedure, the Senate majority leadership announces it intention to do something, like setting the hours for debate on a given day, and reaches an agreement with the minority leadership. Once that agreement is in place, the leadership gives senators a chance to object. If nobody objects--i.e., if the consent is unanimous--the leadership’s proposal takes effect. But if even one senator does object, the majority must secure sixty votes via the cumbersome cloture process in order to reach a vote on the pending measure. As a recent brief for the Center for American Progress puts it, "It may only take 60 votes to get something accomplished in the Senate, but it takes 100 votes to do so quickly." Among the items of business the Senate handles through unanimous consent is non-controversial legislation, such as a new law prohibiting federal prisoners from keeping cell phones while serving time. (It's called the “Cell Phone Contraband Act.”) The Senate Democratic leadership had planned this week to dispense with a backlog of such proposals before adjourning, as is customary at the end of a session. 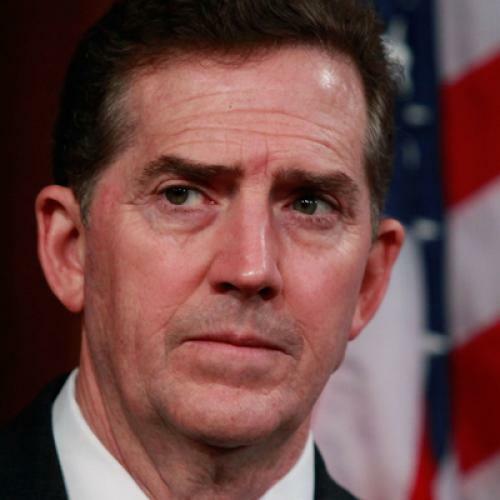 But DeMint has said no, vowing to object to any further business. That means no more laws will pass until after the election--and it will happen then only if the Senate decides to deal with the bills during the lame duck period. DeMint says he shouldn’t have to sign off on legislation without reading it. But it’s an impossible standard to keep. In the course of each two-year congressional session, the Senate will typically pass more than 1,000 laws, according to a report from the Congressional Research Service. There isn’t time to read each one, line by line, let alone hold full debates. When bills have both approval from a committee as well as the leaders of each party, unanimous consent is a not just reasonable way to pass them. It's an essential form of delegation. Now, precisely because most of the pending legislation is so non-controversial, the damage from DeMint’s move might sound minimal. But this move is of a piece with the Republicans’ unprecedented use of the filibuster and deployment of anonymous holds to block Obama nominees, which has left such key agencies as the Federal Reserve Board undermanned. Nor is it just insignificant legislation that individual Republican senators are in the process of thwarting. Among the bills now awaiting Senate approval is a food safety bill, with strong support from industry as well as consumer groups, that would help avert future contamination outbreaks like the salmonella infections that forced the recall of a half billion eggs this summer. It passed the Senate HELP Committee unanimously and has broad bipartisan support. Senate Majority Leader Harry Reid hoped to pass it with unanimous consent. But one of the senators who voted for the bill in HELP, Tom Coburn, is now objecting--which means, given the calendar, the Senate won’t get to that bill, either, until after the elections. That ultimate element of restraint, on which the Senate’s operation relies, seems to have gone AWOL. Most senators ultimately want to get something done in the Senate. The costs of losing the support of their colleagues usually tempers extreme behavior. So only rarely do we see the sorts unrestrained obstructionism practiced by DeMint. One has to wonder as well whether minority leaders in the past were more willing to rein in such tactics when they began to harm the Senate's ability to function. Republicans would say that Democrats used these tactics when they were in the minority. There’s some truth to that, although the Democrats were far more restrained. Republicans would also say that not every Republican is on board with this strategy; Charles Grassley, for example, has co-sponsored a bill with Ron Wyden to end anonymous holds. But those are the exceptions to the rule. A week ago, when the Republicans released a campaign manifesto laughably dishonest about reconciling promises to balance the budget and slash taxes, I said the party did not take governing seriously. DeMint’s latest move yields the very same conclusion. Absurdly wonkish footnote: For the record, there is a difference between simple "unanimous consent requests" and more complex "unanimous consent agreements." DeMint is focusing on the former. But the same general idea underlies both.